What you wear makes more than a fashion statement! So a reason over the last few years that designer dresses has become trending among fashion lovers. The trend of wearing designer dresses has becoming so popular around the world and in Pakistan as-well. Although some stuff on the high street which looks practically the same at a much lower price but people go towards designer clothes because everyone wants to be associated with a brand to feel classier and to look good. Pakistani designer has a major hand in carving a successful fashion niche in Pakistan! Competition is just fierce among the fashion designers in Pakistan because every day new designers are coming in a field with their luxury range of un-stitched and pret dresses and luckily clothing range is not very expensive anymore. 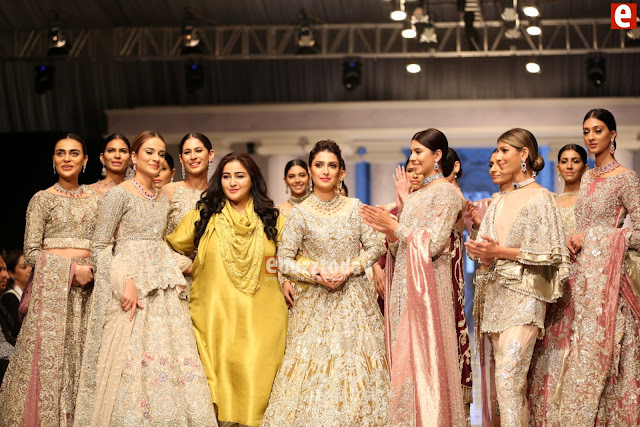 Check out all the Pakistani designer's range who showed their fall 2018 collections at Pakistani Dresses Online to get the true value of clothing. Pakistani designer dresses are no doubt an ideal choice for all kinds of body shape and gaining popularity due to its elegance and comfort in south Asia and around the world. Latest Pakistan designer dresses come in different luxuries fabrics and styles. However the trend has been changing over the time Different clothing styles have come of age and come adorned with different styles of embroidery and embellishments. Designers tend to use the finest quality fabric assembled with ethnic embroidery which mostly used for special occasion like wedding and party wear. Different kinds of luxury fabrics like chiffon, atlus, organza, jamawar, Georgette and silk are used with appropriate colors and patterns to provide a fresh appearance in the designer wear. There are so many options to choose from including shalwar kameez, gowns and fancy frocks to choose a dream dress for you special occasion and many Pakistani Clothes Online can be purchased in affordable price. Black Friday Sale in Pakistan coming soon in few days.